Excellent commercial brick building on 0.43 acre in the heart of downtown Rupert. Large asphalt parking lot with access to an alley way in the back. Currently split into 2 units, with one side currently rented. Handicap accessible. 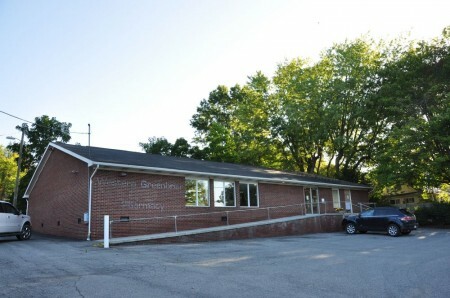 Has been used as a pharmacy, gift shop, doctor office and government agency office. 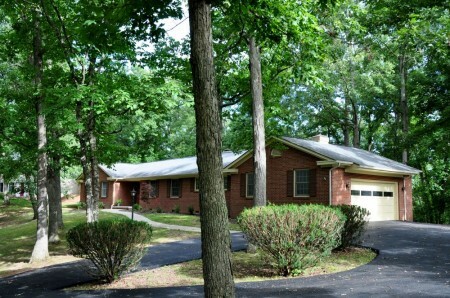 The right side, current rented, consists of 3 rooms, 2 half baths, and a reception/waiting area. The left side, the former pharmacy is a large open space with an area in the back separated by a counter and includes a bathroom and storage area. Set up for security system and generator. 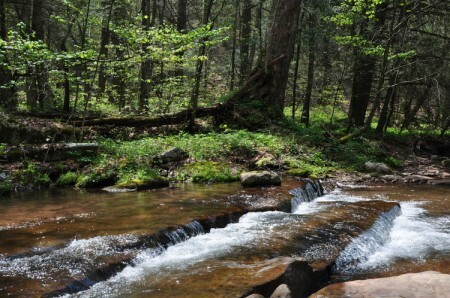 Foxfire Realty is pleased to introduce the 127-acre Urban Forest, a classic multiple-use recreational and timber property located within 30 minutes of Lewisburg. Snowshoe Resort is 90 minute drive; this popular 10,000 acre resort, with over 500,000 visitors per year, offers world class skiing, golfing and mountain biking throughout the year. Fantastic commercial property at Dawson I-64 Interchange. Sitting on over 2 acres of usable level ground and visible from the interstate this charming 2-story building is currently set up with commercial kitchen but has many other possibilities in such an excellent location. Designed for expansion to handle larger operations and parking. With easy access off the interstate, property is suitable for a wide range of commercial enterprises including office, warehouse, manufacturing, restaurant, catering, retail, event conference center or a distribution center. Restaurant equipment may also be purchased separately from the real estate. 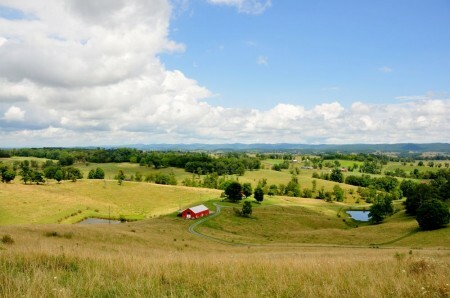 Sassafras Mountain Farm is a 141 acre country property offering everything you need to “get back to the land”. With about 12 acres in fields and the remainder in mature forestland, this mountain farm includes seasonal streams, spring, woodland pond, owner-built farmhouse, barn, garden areas and plenty of space to roam. Alderman Forest is a quality oak, pine/ hemlock, and maple-dominated Appalachian timberland investment with a ready-to-harvest timber resource. 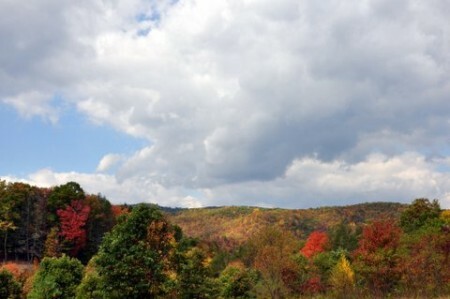 Situate near the heart of the recreation mecca of the Monongahela National Forest and Snowshoe Ski Resort, the property offers rural estate qualities with the upside potential for future cabin site development. Nearly 500 acres would be considered gently laying ground. 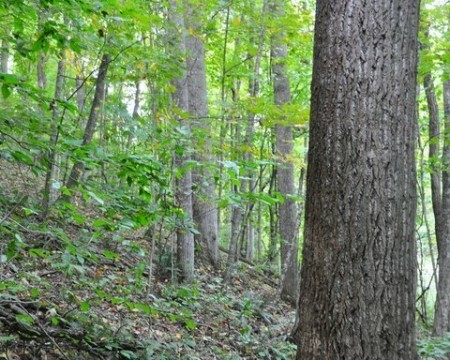 Hamilton Forest is a quality Yellow Poplar, White Ash, Maple – dominated Appalachian timberland investment with a ready-to-harvest timber resource. 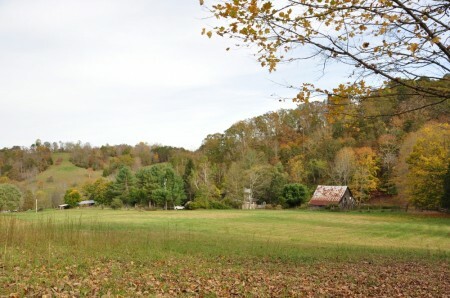 Situated in Raders Valley in historic Greenbrier County, the property offers rural estate qualities with the upside potential for future cabin site development. Nearly 500 acres would be considered gently laying ground. 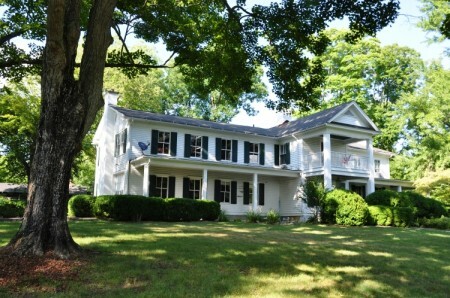 Comfortable, well-situated home, just a stone’s throw from shopping and historic downtown Lewisburg. Located in an attractive, well-established neighborhood, this 4-bedroom, 3-bath brick home features the convenience of one-level living, two cozy fireplaces, and a terraced patio overlooking a gently sloping wooded setting. The half-acre property borders a common area with walking trails leading to a private fishing pond maintained by the Underwood Estates Homeowners Association. 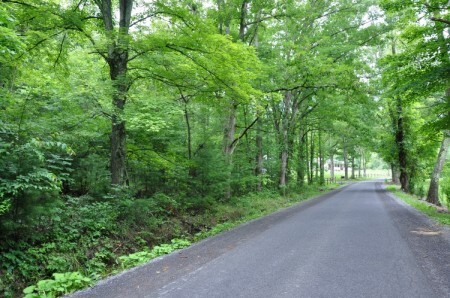 Excellent multi-use recreational woodland property with trails and plenty of wildlife just 10 minutes from downtown White Sulphur Springs and 20 minutes from Lewisburg. Tuckahoe Lake is just a mile down the road. Birchfield “A” offers an outstanding residential building envelope within a mature mountain forest. 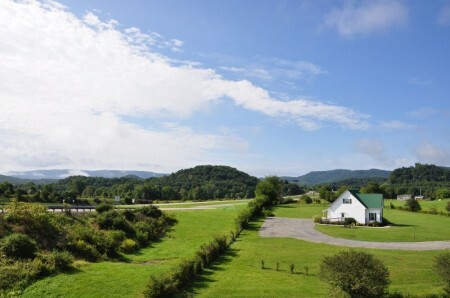 This property is located in the small farming community of Farmdale, which is well known in Greenbrier County for its sweeping vistas, rolling pastures and easy going lifestyle. This area has more cattle than people per square mile and the night sky is filled with stars and not light pollution. 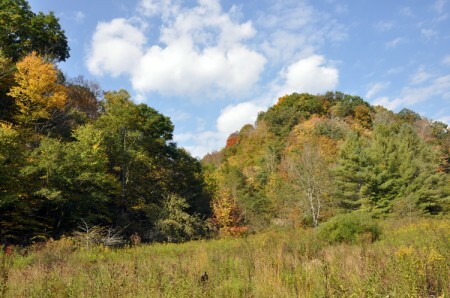 Pence Springs Forest is a quality oak and yellow poplar-dominated Appalachian timberland investment with a ready-to-harvest timber resource. 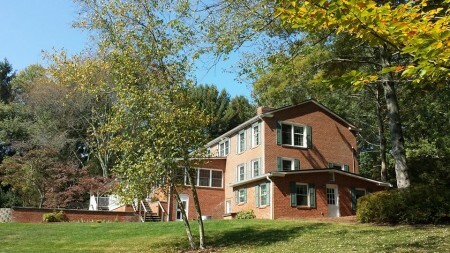 Situate near the heart of the recreation mecca of the New River Gorge, the property offers rural estate qualities with the upside potential for future cabin site development. Shadowed by Peters Mountain along the famed Allegheny Front is a breathtaking old farm property on 58 secluded acres. A productive meadow and picturesque woodland anchors the property that borders forestland and local family farms. A charming 750 s.f. log cabin with modern amenities built in 2006 sits in the 12 acre meadow with a small stocked pond and floating dock. The original homestead includes a circa 1860’s farm house and log barn which are positioned on the property with easy access. 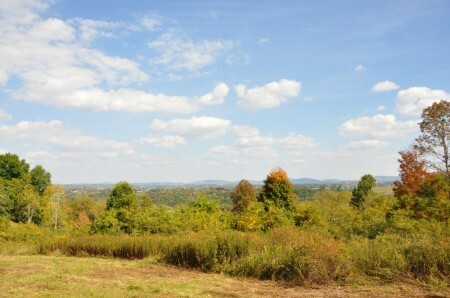 Productive pasture fills the heart of the property and park-like woodland extends to the northeast. An abundance of wildlife, rolling meadow and inspiring natural features create an idyllic setting. 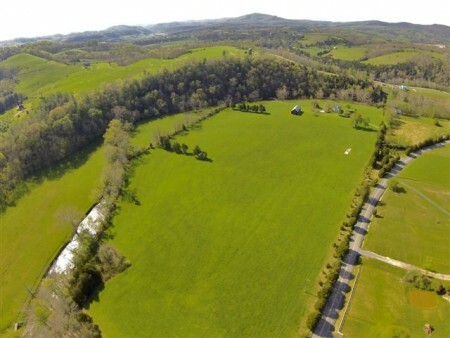 Scenic 5.79 +/- acre building homesite with sweeping views on the countryside, in a highly desirable farming and residential area, an easy 10-minute drive from downtown Lewisburg. 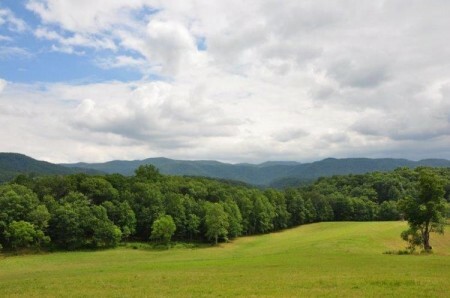 Sunrise Knoll is a spectacular 15-acre accessible but private country property, at the base of Muddy Creek Mountain, in the Richlands area just outside Lewisburg. The gently sloping farmland, with approximately 6 open and 9 wooded acres, affords sweeping panoramic views to the East of White Sulphur Gap and distant mountaintops. This classic American farm lies at the foot of a mountain, affording a sweeping 50-mile, 180-degree panoramic view of the rural countryside to the east and north. A two-story farmhouse and a rustic cabin, two large ponds fed by natural springs, a barn, and 100+/- acres of farmland complete the picturesque scene. Beautiful morning at 25 Mary’s Lane in Lewisburg. 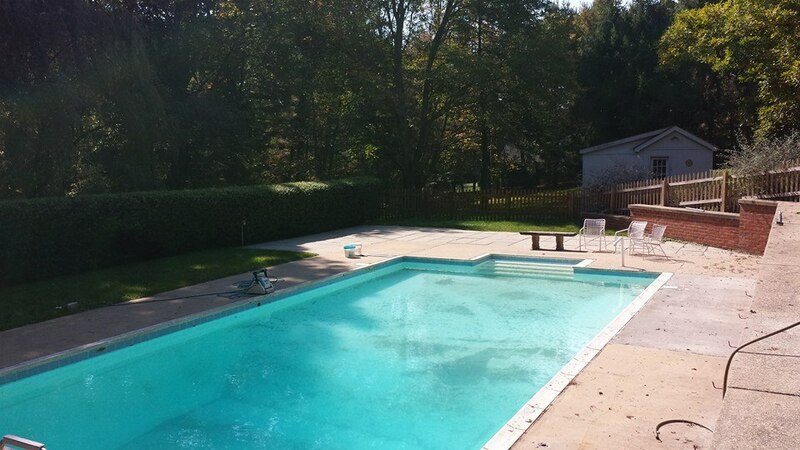 Fall may be here, but still warm enough for a swim! 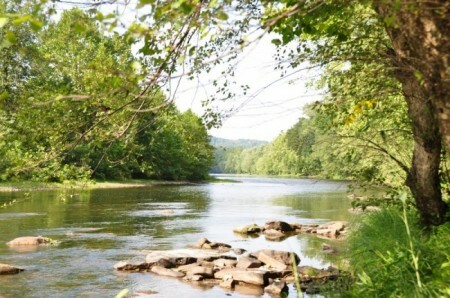 Riverfront building lot on River Road, 2.92 +/- acres, suitable for year-round living or laidback weekend getaways. 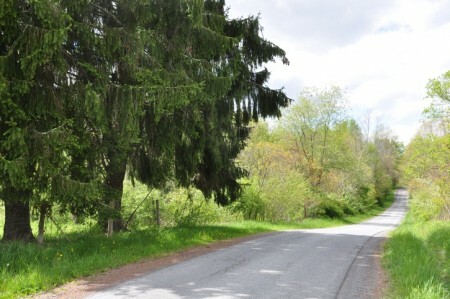 This wooded lot, mostly level but with a gentle slope in the rear, features a young forest, Greenbrier River access, and a view of a small island frequented by herons, ducks and Canada geese. In the spring and summer kayakers, canoeists and fisherman pass by in the distance.